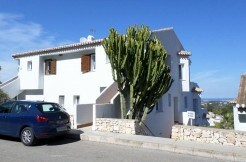 Legal notice - Promociones Denia, inmuebles en venta en la Costa Blanca con especial enfoque en La Sella Golf Resort, Denia.Promociones Denia, inmuebles en venta en la Costa Blanca con especial enfoque en La Sella Golf Resort, Denia. USERS: Access to and/or use of this PROMOCIONES DENIA, S.L. website confers the condition of USER, who accepts, from said access and/or use, the general conditions of use reflected herein. The said conditions will be applicable regardless of the general contracting conditions that may be obligatory. USE OF THE WEBSITE: indicate domain provides access to a multitude of information, services, programs or data (hereinafter “the contents”) on the Internet belonging to PROMOCIONES DENIA, S.L., or its licensors to which the USER may have access. The USER assumes responsibility for the use of the website. This responsibility extends to the registration that was necessary to access certain services or content. In this registration the USER will be responsible for providing truthful and lawful information. As a consequence of this registration, the USER may be provided with a password for which he/she will be responsible, committing to make diligent and confidential use of it. The USER undertakes to make appropriate use of the contents and services (such as chat services, discussion forums or newsgroups) that PROMOCIONES DENIA, S.L. offers through its website including but not limited to, not to use them for (i) engaging in illegal activities or contrary to good faith and public order, (ii) disseminate content or propaganda of a racist, xenophobic, pornographic-illegal, advocacy of terrorism or offensive against human rights, (iii) cause damage to the physical and logical systems of PROMOCIONES DENIA, SL, (iv) attempt to access and, where appropriate, use the e-mail accounts of other users and modify or manipulate their messages. PROMOCIONES DENIA, S.L. reserves the right to withdraw all comments and contributions that violate respect for human dignity, that are discriminatory, xenophobic, racist, pornographic, that threaten youth or childhood, public order or security or that, in its opinion, are not suitable for publication. In any case, PROMOCIONES DENIA, S.L., will not be responsible for the opinions expressed by users through forums, chats or other participation tools. The purpose of the treatment of the data is the management of our contractual relation, as well as to manage the sending of information that you request from us. No customer profiles are created. The data will be kept for as long as the business relationship is maintained or at least for the period of the general fiscal prescription, then they will be deleted or blocked. The legitimacy for data processing is based on the execution of a contractual relationship between the parties. No transfer of data will take place, except in cases where required by public authorities, or for the performance by the merchant of administrative formalities. You can exercise your right of access, rectification, deletion and portability at the above address, you are also informed that you have the right to withdraw the consent given, and to complain to the supervisory authority. EXCLUSION OF GUARANTEES AND RESPONSIBILITY: PROMOCIONES DENIA, S.L., is not responsible, in any case, for damages of any nature that could occur: errors or omissions in the contents, lack of availability of the website or the transmission of viruses or malicious or harmful programs in the contents, despite having taken all necessary technological measures to prevent it. MODIFICATIONS: PROMOCIONES DENIA, S.L. reserves the right to make any changes it deems appropriate to its website without prior notice, and may change, delete or add both the contents and services provided through the website and the way in which they are presented or located on the website. LINKS: In the event that links or hyperlinks to other Internet sites are provided in the domain name, PROMOCIONES DENIA, S.L. shall not exercise any type of control over said sites and contents. Under no circumstances will PROMOCIONES DENIA, S.L. assume any responsibility for the contents of any link belonging to another website, nor will it guarantee the technical availability, quality, reliability, accuracy, breadth, veracity, validity and constitutionality of any material or information contained in any of these hyperlinks or other Internet sites. Likewise, the inclusion of these external connections will not imply any type of association, merger or participation with the connected entities. RIGHT OF EXCLUSION: PROMOCIONES DENIA, S.L. reserves the right to deny or withdraw access to the website and/or the services offered without prior notice, at its own request or at the request of a third party, to those users who fail to comply with these General Conditions of Use. GENERALITIES: PROMOCIONES DENIA, S.L., will pursue the breach of these conditions and any misuse of its website exercising all civil and criminal actions that may correspond in law. MODIFICATION OF THE PRESENT CONDITIONS AND DURATION: PROMOCIONES DENIA, S.L., may modify at any time the conditions specified herein, being duly published as they appear here. The validity of these conditions will depend on their exposure and will be valid until they are modified by other duly published. APPLICABLE LEGISLATION AND JURISDICTION: The relationship between PROMOCIONES DENIA, S.L. and the USER shall be governed by current Spanish legislation and any controversy shall be submitted to the Courts and Tribunals of the city of Denia.